If you are looking for home remedies for pyoderma in dogs, it’s helpful to first get acquainted with this skin problem. There are different levels of pyodermas affecting dogs: superficial pyodermas and deep pyodermas. We will be looking at both forms so to distinguish the two. In general, pyoderma is simply a bacterial infection of the dog’s hair follicles. The infection is often secondary to an underlying problem that may need addressed such as a flea bite, presence of foreign body, allergy, use of steroids or a systemic issue such as an autoimmune disorder or hormonal disorder. The main symptom is the presence of several pustules, crusts or scales. Superficial pyodermas are known for only affecting the uppermost parts of the skin; whereas, deep pyodermas affect areas deeper than the skin follicles. Deep pyodermas require antibiotics to heal and home treatments are generally not effective. Pyoderma is treated by tackling the underlying cause, if found, and the dog is often prescribed antibiotics, but antibacterial shampoos are also often prescribed. If the pustules tend to recur, the vet may prescribe more antibiotics and/or run more tests to find the underlying cause. Diagnosis can get challenging at times. While most cases require a course of antibiotics, there are some home remedies for dog superficial pyodermas that can provide some relief. 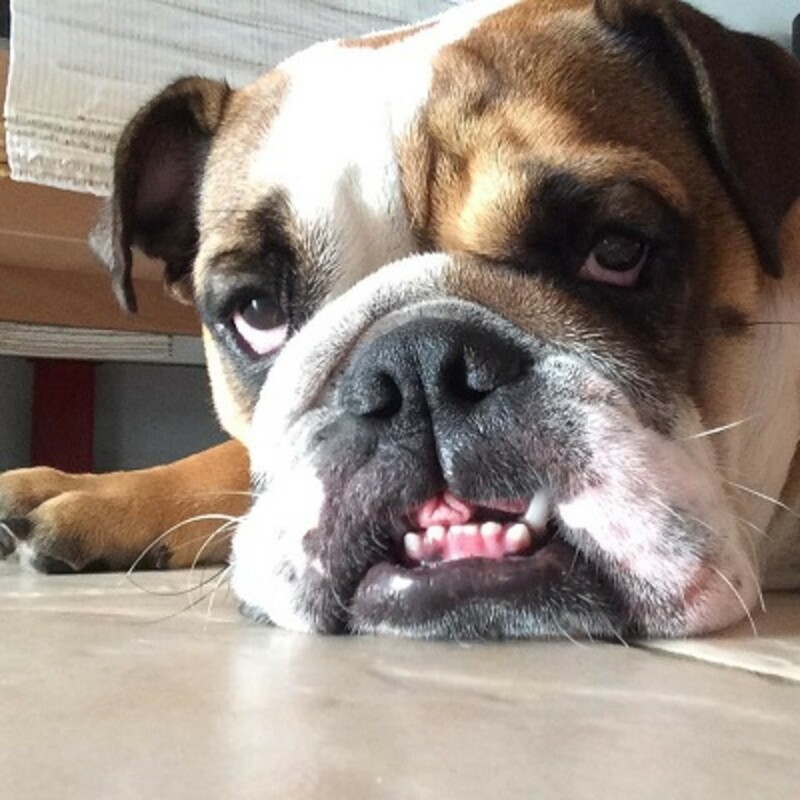 If the pyoderma is restricted to the chin area, you will notice papules, pustules under the chin of short coated breeds that’s often caused by friction with the floor or chew toys. To help these papules heal, you will need to minimize trauma to the area. For dog chin pyoderma, you can scrub the area with a benzoyl peroxide or chlorhexidine shampoo in the direction of hair growth, suggests veterinarian Dr. Michael Salkin, a University of California at Davis graduate veterinarian with 43 years of experience. You can also apply Mupirocin ointment or benzoyl peroxide to the area every day until the papules resolve, and then, every 3-7 days as needed. For moderate to severe cases, the dog will also a course of antibiotics though. If the pyoderma affects a breed that has skin folds such as a pug or English bulldog, the use of a benzoyl peroxide or chlorhexidine containing shampoo (both available over the counter) would be ideal. Hebiclens is a chlorhexidine wash that can be found at a local pharmacy and can be used. Just make sure to rinse the shampoo well and then afterward apply a thick coat of plain Polysporin twice daily, further suggests Dr. Salkin. While a course of antibiotics and tackling the underlying cause is often need for dog pyodermas, sometimes topical treatment may help ameliorate the skin condition. To treat a pyoderma topically, you can try an antibiotic shampoo such as a medicated shampoo like Malaseb, suggests Dr. Stacy. Use the shampoo about twice a week she suggests. There are several products available over the counter for dog pyoderma with decent reviews.